Your sales reps are continuously on the run, meeting clients, pitching for a potential sale, etc. Imagine, them having to get back to office to use their laptop, desktop inorder to connect with potential customers. It will only lead to delay in sales closure. Having your sales reps equipped with mobile CRM software will not only help in increasing individual productivity but it is also a proven way to boost sales and company revenue. Mobile CRM helps reps to stay connected with team members and customers on the go. Since almost 95% of the population use cell phones, staying in touch with customers through calls and text messages is convenient. With it, reps will not necessarily require access to computers to update the latest developments; they can create or edit their records through their mobile devices to ensure instant follow-ups. Reps can stay updated and collaborate effectively to track new opportunities and close deals faster with real-time updates. 1. According to venture capitalist and Internet guru Mary Meeker, 13% of all Internet traffic was executed from mobile devices. 2. Sales reps saw productivity increased by 15% when they had mobile access to CRM applications. 3. 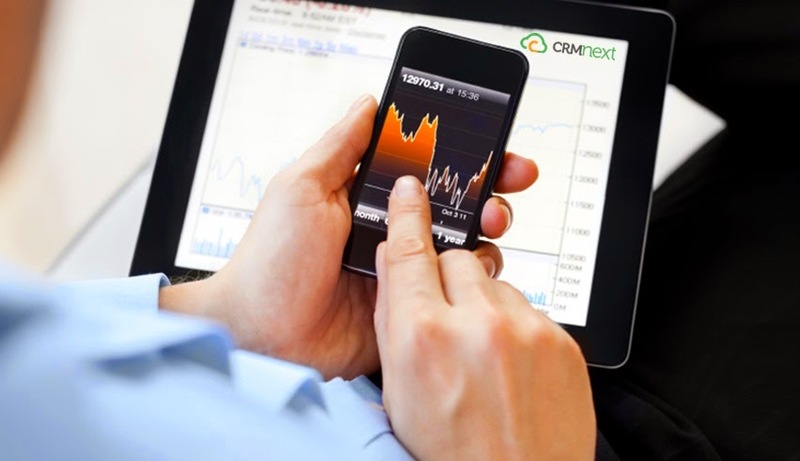 Overall CRM usage increased in recent years, from 56% in 2012 to 74% in 2013. With the help of such mobile platforms, all crucial information is readily available. The mobile device will enable sales reps to get easy access to all important information like customers’ product holding, past purchase history, recent transactions, etc. Reps will be able to plan and prepare for a meeting on location and follow up with a prospect while on the road. Mobile CRM software, will also help in increasing sales. Research by Innoppl Technologies shows how 65% of sales reps who work at companies that have adopted a mobile CRM have achieved their sales quotas as opposed to just 22% of reps from non-Mobile CRM enabled companies. The statistic, itself is proof enough that such implementation helps reps in closing sales at a faster rate due to the enormous benefit it provides. Mobile CRM also helps in shortening of the sales cycle. Reps no longer have to waste time, trying to recollect the conversation they last had with a prospect. Since information is updated on the go, it is easier for reps to focus on winning “new opportunities”. Furthermore, mobile CRM will also enable reps to plan faster and get meaningful business insights. Even when employees are not at their desks, activities like meeting day to day targets, updating customer records, responding to customer queries, etc. can be done successfully with the help of a mobile CRM. All in all, this cutting-edge mobile CRM platform has improved lead conversion rates and helped businesses gain a competitive edge.